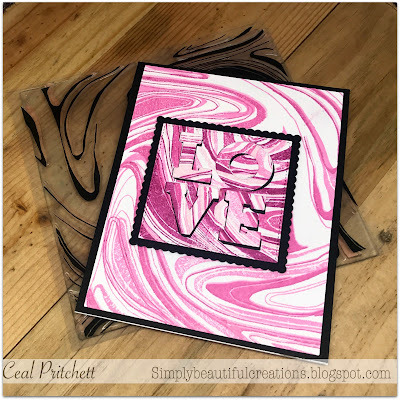 Its Ceal, here today on the My Sweet Petunia blog for Team Tuesday. 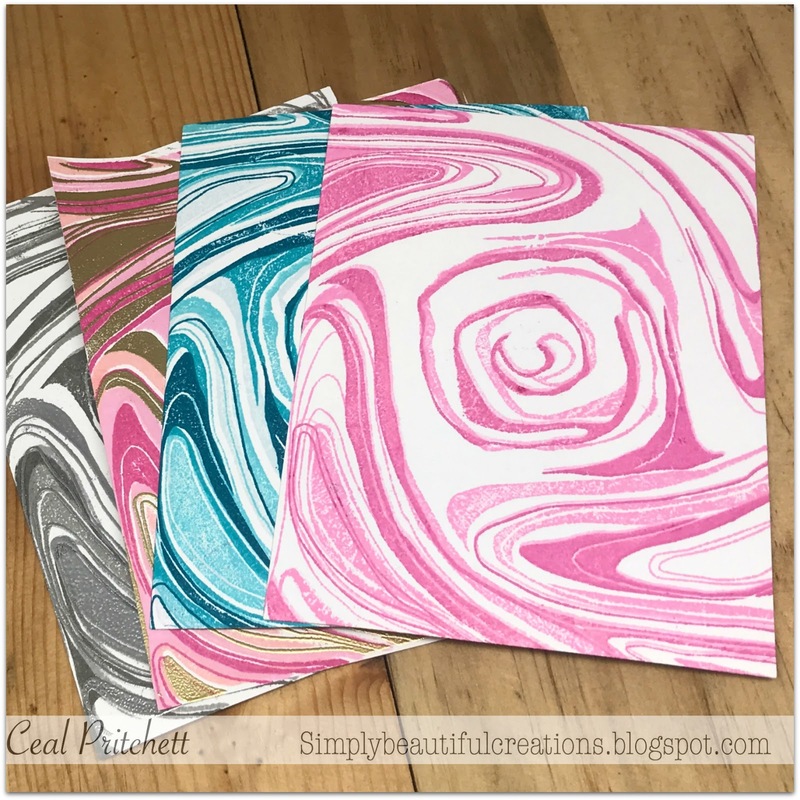 Today I am sharing some cards I made using the marbled Turnabout by concord & 9th. The turnabouts were made especially for the Misti's and I love using them. 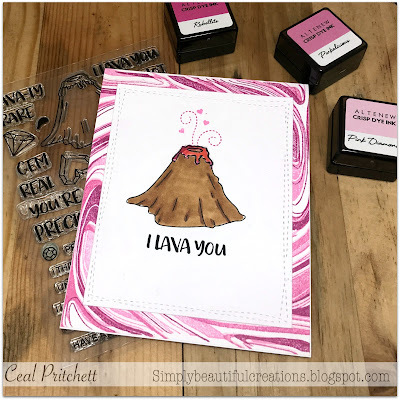 I made several backgrounds first and then turned a few of them into cards and still have a couple left over. I love having all types of backgrounds on hand so when I need card I can grab those, add to them and have a card in no time at all. To create the backgrounds I started with the Marbled Turnabout stamp and the new turnabout jig with is amazing! they also have guides for all their turnabouts as well. I made a couple pink ones, one I only turned three times, the other two I turned all four rotates but added gold embossing to one, this particular one I haven't made into a card yet. 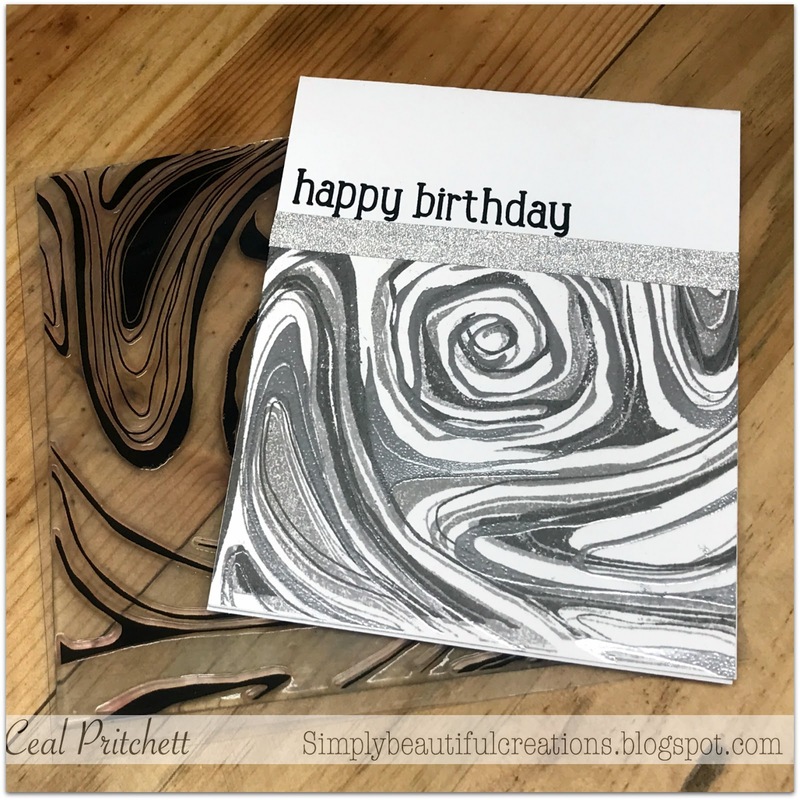 I used some grays to make a masculine birthday card, I also added some silver embossing on one of the turns. I haven't made the blue into a card yet either but I can see another masculine card stemming from it. For the first one, I turned three times for the main background and four times for the square background and the three for the letters. 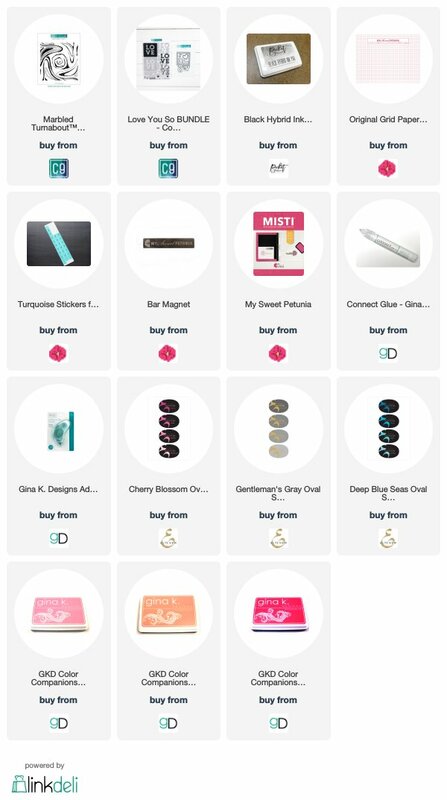 For the "LOVE" I used the Love You So bundle also by Concord & 9th. For the second one I used some gray Altenew ink to make a masculine birthday card. The greeting is from the Birthday Basics Turnabout.